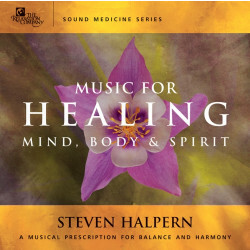 Steven Halpern stands at the leading edge of the growing public understanding of the relationship between music, body, mind, and spirit. 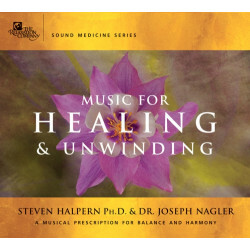 An award-winning composer, recording artist, and producer, Steven's healing music has helped millions worldwide to experience the blessings and benefits of deep relaxation and inner peace. In Steven's earlier career, he was a dynamic jazz-rock trumpet player inspired by John Coltrane and Miles Davis, a guitar and bass player with old school R&B bands, and a long-time student of world music and shamanic sound traditions. 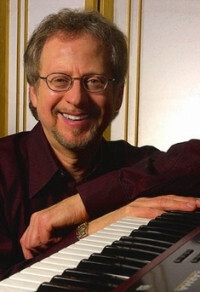 When Steven moved to being a pianist, Keyboard magazine identified him as "one of the 30 most influential keyboard artists of the past 50 years." Steven is more than just a musician. He is a Renaissance man who is also an author, media spokesperson, seminar leader, pioneering sound healer, and entrepreneur who helped create the alternative market for lifestyle-support music outside the traditional music industry. Steven's first two books, Tuning the Human Instrument and Sound Health, had enormous influence on this field. After being initiated into what he has described as a ministry of healing music, Steven was encouraged to scientifically validate the extraordinary effects his music was having on listeners. This became the focus of his graduate studies, and his landmark research exploring the connections between sound, consciousness, and healing were the first to employ the more subtle and sophisticated new technologies of brainwave biofeedback and Kirlian (aura) photography. 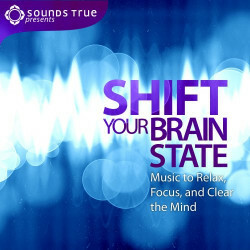 Based on his own spiritual and health-related experiences, Steven discovered secrets of combining ancient sound-healing traditions with quantum biology and energy medicine to produce recordings that support relaxation, stress management, yoga, meditation, massage, sleep, accelerated learning, and pure listening pleasure. Steven's music is an ideal complement for meditation, yoga, massage and other therapeutic bodywork, psychological counseling, and accelerated learning. Steven's music gets listeners “in the zone” and is used by leading business professionals, success coaches like Mark Victor Hansen and Brian Tracy, and entrepreneurs, students, and teachers worldwide. Steven has produced over 70 recordings in the Inner Peace Music® and SoundWave 2000™ subliminal audio series. He has influenced two generations of recording artists and music therapists, and has performed and recorded with a Who’s Who of well-known musicians including: Paul Horn, Paul McCandless, Babatunde Olatunji, Al DiMeola, Larry Coryell, Rick Derringer, and Georgia Kelly. 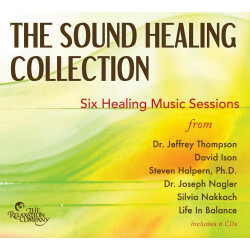 Steven's research has established him as the pre-eminent spokesperson for the emerging field of sound healing, and he was the first in his field to appear on national television, including The Tomorrow Show with Tom Snyder. CBS, ABC, NBC, and the BBC have covered Steven's work, as well as the New York Times, the Los Angeles Times, and the San Francisco Chronicle. His music has been featured in John Bradshaw’s two PBS series, and has been heard on 20/20 and The Oprah Winfrey Show. Steven has also made appearances on 48 Hours and America’s Talking. Since 1975, Steven has been a popular speaker at leading holistic health and complementary healing centers and conferences worldwide. He has presented workshops at Esalen, the Omega Institute, and Kripalu, and has spoken at the Sixth International Conference on Stress (Montreux), the National Music Therapy Association, the American Massage Therapy Association, The International Alliance for Accelerated Learning, and The Whole Life Expo. He has also written hundreds of articles, and has produced a syndicated monthly column for over 20 years.